Britain’s Home Office has rejected calls to allow refugee and religious representatives into Scotland’s controversial Dungavel immigration center, despite reports of a group of detainees going on hunger strike. In response to the Home Office’s decision, an emergency motion was put before the Scottish Trade Union Congress on Tuesday. Trade unionists present condemned the Home Office’s move, and called for a demonstration outside the immigration jail demanding an end to detention within Britain’s asylum system. Previously, in a mark of protest against conditions in the facility as many as 60 detainees based there allegedly refused food. The request to assess the conditions detainees are exposed to in the South Lanarkshire jail was made by the STUC, the Church of Scotland, the Catholic Church, the Muslim Council of Britain and the Scottish Refugee Council. In a statement on Thursday, the STUC said the faith and social justice groups had issued the request in order to uncover the “true situation” in the immigration jail and speak directly with detainees who are often held there indefinitely. The STUC said the manager at the immigration detention center welcomed the visit, but the Home Office had blocked it. Speaking to RT on Tuesday, a spokesperson for the Home Office confirmed it had been approached by religious and refugee representatives who were concerned about the well-being of detainees based at Dungavel immigration center. However, these representatives were denied access to the detainees in question, the spokesperson said. Probed on the source of this claim, the spokesman said the Home Office received this information from staff based at Dungavel immigration center. As a means of highlighting concern for detainees at the Scottish immigration jail, a mass demonstration will take place outside the facility in coming weeks. The protest has been organized as part of the STUC general council motion. The STUC General Council said detention is a “blight” on Britain’s asylum system. “The people being held indefinitely in Dungavel have committed no crime. They have caused no harm in our country and seek nothing but the opportunity to live in safety and with dignity,” it added. Britain is the only country in the EU with no formal limit on the amount of time individuals can be detained in immigration jails. 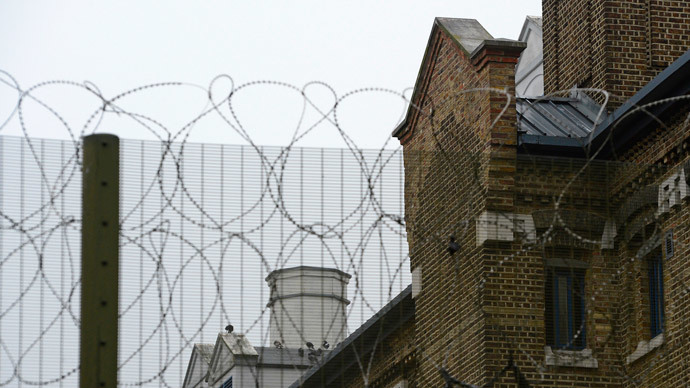 A report recently published by a Westminster cross-party parliamentary group on Britain’s asylum system called for a 28-day cap, and for “community-based resolutions” to be prioritized over detention.